Our chatbot platform is the perfect playground for bots to operate in, best in market actually! And we have partnered with some of the best providers out there to deliver the perfect bot solution for our customers. Chatbots take all the conversations with visitors so your customer service team can focus on the tricky ones. The chatbot is constantly learning so your agents never have to repeat themselves again. How does a chatbot work? | How to control who the chatbot talks to? 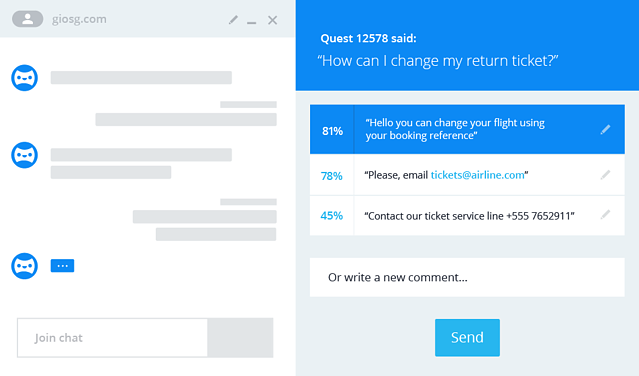 When the customer service agent takes over the conversation, the chatbot goes quiet. It keeps on helping as an intelligent assistant for the agent. Let's discuss how chatbots can help you streamline your customer service! 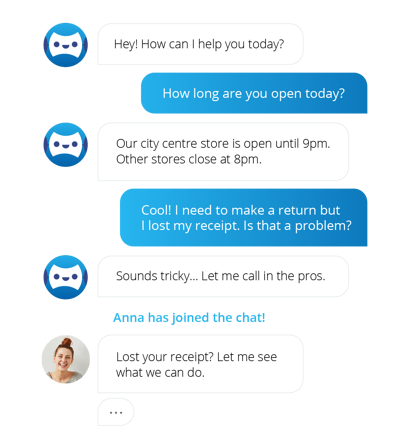 See how chatbots help you streamline customer service!